Recent research suggests that people living in small, rural towns and villages are eight times happier than city dwellers[i], driven primarily by the strong community spirit which characterises these areas. Multiple winner of ‘Village of the Year’, Great Bentley in Tendring, Essex, offers its residents the quintessential English village experience. 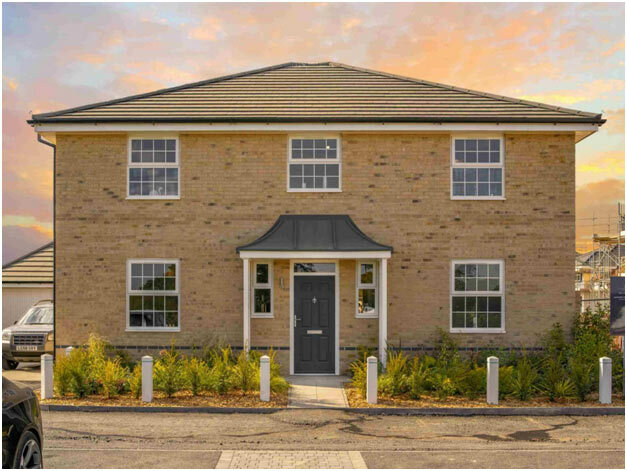 Ideal for home hunters seeking a family home in a neighbourhood known for its sense of belonging, developer GO Homes, has recently launched Fusiliers Green, a lovely development situated at the heart of this sought-after village. Located only seven miles from the busy town of Colchester, Fusiliers Green comprises 49 three, four and five-bedroom homes in an idyllic countryside setting. Home to one of the largest village greens in the country, at 43 acres this is the hub of the community, host to a calendar of events throughout the year. Residents at Fusiliers Green will also be well served by the village’s excellent amenities, including a Tesco Express, post office, doctor’s surgery, pharmacy, a traditional village pub, as well as a range of independent local businesses. 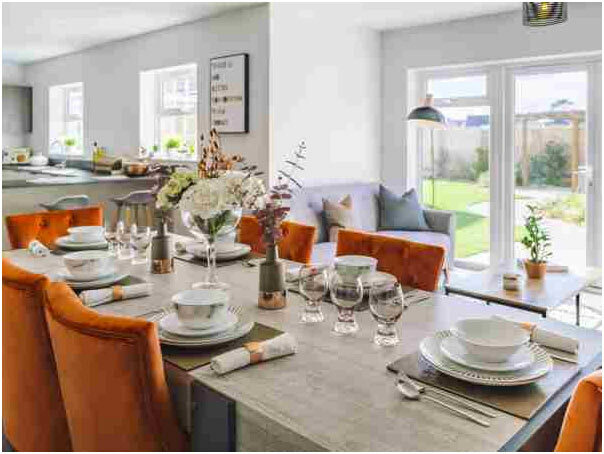 Each of the nine house styles at Fusiliers Green has been designed with the modern-day family in mind, mainly boasting large open plan kitchens and dining areas, perfect for entertaining guests and spending quality time with the whole family. All the homes also feature beautifully landscaped front gardens and parking in the form of a driveway and/or garage. On the drive into Fusiliers Green you are presented with your very own landscaped green, for all to enjoy. The Hampton is a spacious four-bedroom, two storey house, featuring beautiful weatherboarding and traditional sash windows. This home offers an elegant entrance hall to greet guests and a high specification kitchen, perfect for cooking up a storm. Designed to maximize space and light, the first floor also features a WC, family room, dining room and separate living room, ideal for adapting to become a games room or study. The second level of the house provides four bedrooms, a contemporary family bathroom and stylish ensuite to the master bedroom. With a range of excellent schools on its doorstep, Great Bentley receives top marks when it comes to education. Rated by Ofsted as ‘Outstanding’, Great Bentley Primary School is renowned for its friendly atmosphere, high quality teaching and vibrant community. Nearby Colchester also has two ‘Outstanding’ grammar schools, Colchester County High School for Girls and Colchester Royal Grammar School. Residents at Fusiliers Green will benefit from the best of both worlds; countryside living whilst also enjoying excellent transport connections. Colchester is only seven miles away via the A120 and A12, which also connects to Ipswich, Chelmsford and Braintree. For commuters into the capital, Great Bentley Station is well served, taking passengers direct to London Liverpool Street in one hour and 20 minutes. For day trips, the coast is also never far away with Brightlingsea just a 10-minute drive away and Clacton 15 minutes. Prices start from £325,000 for a three-bedroom house and the Help to Buy scheme is available on a selection of properties. For more information visit www.go-homes.co.uk or to arrange a viewing call 01206 984277.